The most frequently occurring and deadliest crime in America is impaired driving, in the words of the Governors Highway Safety Association. In 2014, 31 percent of the crashes involving a driver who had been drinking were fatal; that means in one year, 9,967 people died because a drunk or buzzed driver took the wheel. But while alcohol is the most common substance that is responsible for dangerous operation of vehicles, it is not the only one. Drugs that will impair your driving may seem innocuous and harmful, but the effects they have on the mind and body can be deadly on the roads. The National Council on Alcoholism and Drug Dependence explains that, as a depressant, alcohol dulls the operation of the central nervous system, delaying normal brain functions. This has the effect of affecting how a person thinks and how they carry out reflexive psychomotor (hand-eye) skills. The rate of effect depends on how much alcohol a person had to drink before driving, as well as the time elapsed between the last drink and the commencement of driving. Many of the skills that are required for even basic road competency – judgment, concentration, understanding, anticipation, reaction time, and coordination – become impaired when alcohol is consumed. The Centers for Disease Control breaks down how increasing amounts of alcohol gradually impairs driving to greater degrees. After about two drinks (for a blood alcohol concentration of 0.02 percent), a person can experience a moderate loss of judgment, altered mood, and an increased sense of relaxation. Put that person behind a wheel, however, and there will be an inability to rapidly track a moving object (like an oncoming vehicle) and a reduced ability to perform two tasks at the same time. After three drinks (blood alcohol concentration 0.05 percent), behavior becomes exaggeration, small-muscle control is lost (like focusing eyes on a point), and inhibitions and judgments are drastically reduced. For a driver, this means difficulty in steering a vehicle and being unable to quickly respond to emergency situations. When a person consumes about four drinks (BAC 0.08 percent), there is a greater loss of muscle coordination; balance is thrown off, speech and vision become slurred and blurred, and reaction time is much delayed. 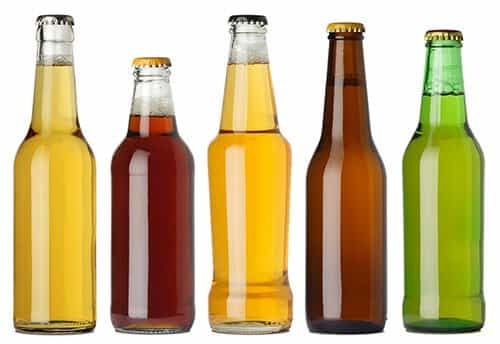 The CDC warns that after four beverages, it is “harder to detect danger,” and there is a significant impairment of judgment and reasoning. Behind the wheel, a driver will lose the ability to concentrate, regulate driving speed, and properly understand changing road and traffic conditions. Five drinks in, and there is “clear deterioration of reaction time and control.” A driver would not be able to brake in time to avoid hitting other cars, and the driver’s ability to maintain a steady position in their lane would be lost. Seven drinks would yield a blood alcohol concentration of 0.15 percent, at which point a person would be prone to vomiting, losing almost all muscle control, and not being able to stay on two feet. In a car, there would be a “substantial impairment” in controlling the vehicle, paying attention to driving, and an inability to process auditory and visual cues to drive safely. The extent to which alcohol impairs driving have been so well-studied, that anti-drunk driving campaigns are widespread and numerous. Slightly less studied is the effect of marijuana on driving, but what evidence there is has yielded surprising results. CNN reports that a study, funded by the National Institute on Drug Abuse, the Office on National Drug Control Policy, and the National Highway Traffic Safety Administration, revealed that drivers who smoked cannabis prior to operating a motor vehicle tended to drive more carefully because they recognize that they’re high; drivers with alcohol in their system, on the other hand, do not fully appreciate how impaired they are when they’re behind the wheel, and, therefore, take more risks. The researchers in the study found that it was alcohol, and not marijuana, that increased the number of times the vehicle left the lane it was in, as well as how fast the driver weaved within the lane. There was only one area where marijuana had a notable impairment on driving; cannabis reduces drivers’ peripheral vision (what is seen on the side by the eyes, when looking straight ahead). 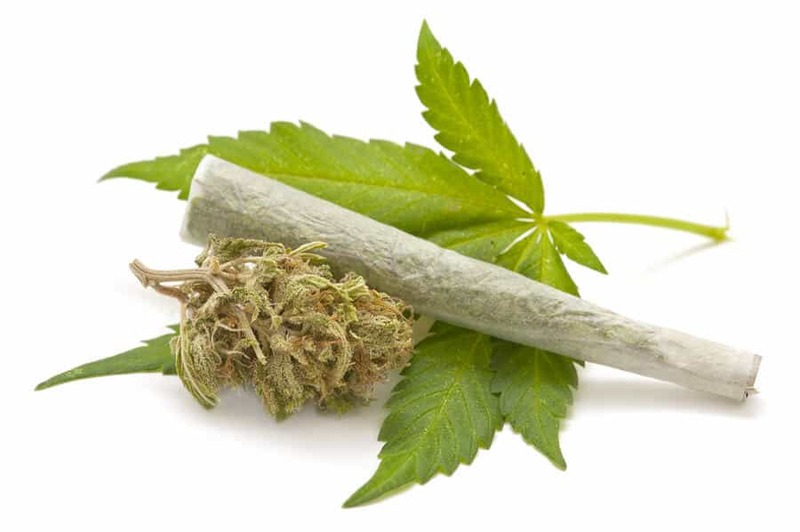 Smoking or consuming marijuana before driving has the effect of giving drivers tunnel vision, where objects cannot be properly seen, unless they are close to the center of the driver’s vision. Having said that, the American Journal of Addictions wrote in 2009 that driving simulations showed “only modest reductions in driving performance” due to cognitive impediments caused by marijuana. Comparing drivers high on cannabis, drivers drunk on alcohol, and sober drivers, the journal of Drug and Alcohol Dependence found that users of vaporized marijuana were more likely to weave within their own lane; sober drivers were not. Users of vaporized marijuana were not more likely to weave out of their lane or to speed. Drivers drunk on alcohol, on the other hand, were found to do all three. An economist at the National Bureau of Economic Research explains that people who are drunk are, by nature, too physically impaired to drive; the problem is that they do not believe that they’re physically impaired, leading them to drive faster, follow other cars at a closer distance, and make unpredictable and impulsive decisions behind the wheel. Yet, drivers who are (slightly) buzzed from marijuana tend to be more risk-averse and go so far as to overestimate their own level of impairment. A 1993 study by the National Highway Traffic Safety Administration found that people who smoked a third of a cannabis joint said they were too impaired to drive, even though driving tests showed no notable problems with their driving. Compared to drunk drivers, buzzed drivers will drive slower, maintain a greater distance between other cars, and try not to do anything that would suggest that they are not driving at optimum cognitive capacity. Nonetheless, even overly cautious driving might be a sign of chemical impairment behind the wheel, and consistently driving well under the speed limit might prompt a police officer to pull you over. In fact, because marijuana tends to make drivers more careful, and more and more people who would normally consume alcohol are now using marijuana, economists theorize that cannabis use might actually decrease accidents – not so much because cannabis is safer, but that the number of people who would otherwise drive drunk is slightly lower. In fact, TIME magazine writes that marijuana smoking before driving is becoming more common, even as drunk driving is declining. A survey from the National Highway Traffic Safety Administration found that 8.3 percent of nighttime weekend drivers tested positive for alcohol, and 12.6 tested positive for THC, the psychoactive chemical compound in marijuana. But Live Science cautions that the reality is probably more complicated than making a connection between safer driving and smoking marijuana, since car safety and lower drunk-driving rates (not related to the legalization of marijuana in some areas and lax enforcement in others) have resulted in traffic fatalities on the downswing for a number of years. On the other side of the spectrum, too much marijuana can be just as dangerous as alcohol. When people are very high, the impairment level rises significantly, and they tend to take more risks behind the wheel. The state of Washington, which, in November 2012, legalized small amounts of cannabis-based products for adults, has provided one of the few examples of local government being able to study the effects of marijuana on the road. The Traffic Safety Commission found that cannabis “is increasing as a factor in deadly crashes.” The number of drivers involved in traffic fatalities who also tested positive for marijuana went up by 48 percent from 2013 to 2014. Nearly 60 percent of drivers involved in deadly traffic accidents, from 2010 to 2014, were tested for drugs, and 20 percent of them (349 drivers) tested positive for cannabis. In 2014, almost 85 percent of drivers tested positive for active THC, the primary chemical and psychoactive compound in marijuana. The Traffic Safety Commission called the figure “alarming,” and said that half of the drivers tested with THC in their systems exceeded the 5 ng/ml THC limit. In March 2013, the journal of Clinical Chemistry reviewed pre-existing scientific literature on what marijuana did to drivers and found that “the risk of involvement in a motor vehicle accident increases approximately twofold” after a driver smokes marijuana. The higher the amount of THC in the driver’s blood, the greater the culpability of the risk of the driver, to the point where the researchers wrote that that increase was “substantial.” Even though drivers under the influence of marijuana tend to drive slower, so as to reduce the likelihood of causing accidents, their ability to multitask deteriorates (which, driving slowly aside, would nonetheless impair their ability to navigate a vehicle on the roads). Consuming cannabis before a drive led to impairment in tracking, reaction times, attention, and maintaining position in lanes. The researchers suggested that “particularly occasional smokers” might be more substantially impaired by blood THC concentrations while driving. But as with most aspects of marijuana, the debate rages on. The Washington Post writes that for cannabis, “there is no statistically significant change in the risk of a crash,” even when a driver has THC in the blood. On the other hand, having a blood alcohol concentration of 0.05 or above leads to the chances of an accident increasing by almost 600 percent. In the same way that driving under the influence of marijuana is challenging understandings of impaired operation of motor vehicles, the International Association of Police Chiefs warns of the effects of “the prescription drug era,” as overprescribing and widespread consumption of restricted and regulated medications is overlapping with chemically sedated or stimulated people taking the wheel. The New York Times points out that even as fatalities from drunk driving accidents are on the decline, prescriptions for drugs that affect people’s attention, wakefulness, sleep, and behavior “are rampant,” to the point where the lives of other drivers and pedestrians are threatened. A cyclist in Miller Place, New York, was killed by a driver who had taken a number of prescription medications and who exhibited all the typical signs of intoxication when she was interviewed by investigators: an inability to keep her eyes open as well as slow and slurred speech, even though she had not touched any alcohol before driving. A big element of the problem is that the effects of prescription medication, especially as they pertain to what happens to a person behind the wheel of a car, depend on a number of factors that cannot be easily controlled or predicted, such as the dosage and nature of the drug, as well as the unique physiology of the person taking the drug. Even as some states have made it illegal for drivers to have any level of prohibited drugs in their system, trying to find a threshold for prescription medication is proving much more difficult. Prescription medications have very complex chemistry, which sometimes lasts in a driver’s system for days or week after consumption. Furthermore, while alcohol and marijuana affect drivers in relatively similar ways, the same cannot be said for the plethora of prescription medication found at pharmacies and hospitals. Anti-anxiety drugs will slow responses; stimulants might encourage a driver to take more risks with the car. 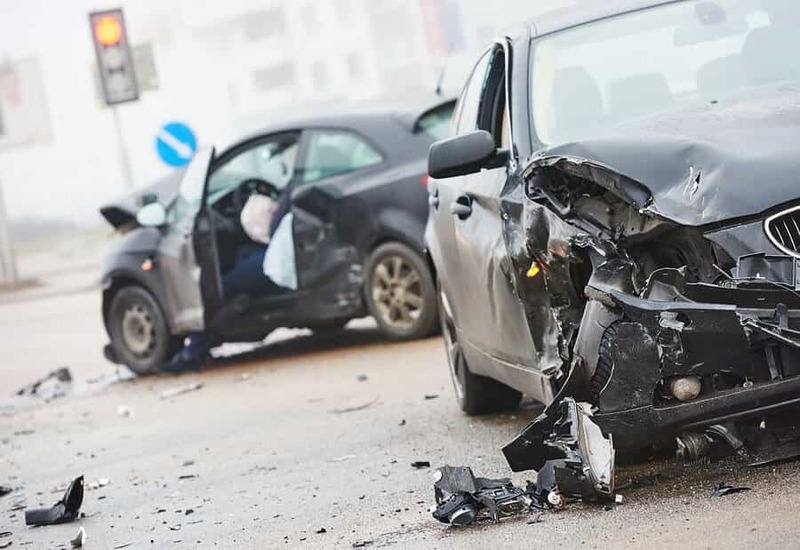 People who mix their prescriptions, or combine their medication with alcohol, are at risk for having extremely impaired driving and cognitive skills, tremendously increasing the likelihood of a crash. The nature of the driving impairment caused by prescription medications can be different to what the public and law enforcement can expect; states have had to implement special training for police officers to spot signs of drug impairment, and the Times offers the story of a truck driver in Bangor, Maine, as an example. The driver was not speeding, swerving, or offering any suggestion that he was not in optimal condition to operate his vehicle. His only visible mistake was having a noisy muffler, for which a police officer pulled him over. The officer then noticed that the driver’s eyes were bloodshot and his speech was slurred, which was enough for an arrest to be made. Such a measure has been met with criticism, as defense lawyers argue that police are being overzealous in their intention to send a message about the dangers of driving while impaired. 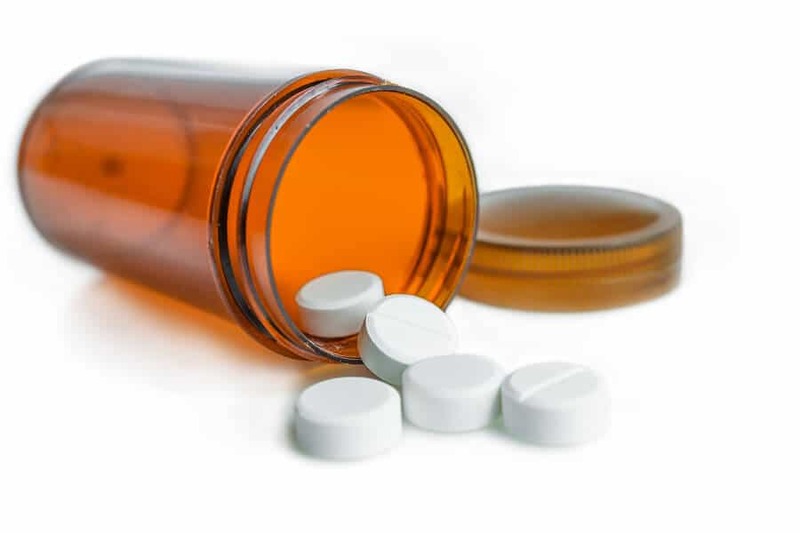 The fear is that people who are taking their prescriptions as they should are being caught in the net, which may make trying to convince a jury to convict a driver impaired due to prescription medication difficult. The attorney general in Maryland points out that “most people on [a] jury will also likely be taking prescription drugs.” Unwilling to identify their medicinal habits with those of an impaired driver, jurors are likely to push back against suggestions that prescription medications can impair driving to the point of causing danger, except in the most egregious of cases. However, it is not only prescription medication that can cause death and danger behind the wheel. Over-the-counter medication, which does not require a doctor’s prescription to be purchased, can make you too tired to drive safely, the Food and Drug Administration warns. Even the most common medicines that can be bought from a grocery store, for ailments as minor as a runny nose, can cause drowsiness that lasts for hours after consumption. A medical officer at the FDA adds that if a driver has not had enough sleep, the impairing effects of the OTC medication will be exacerbated. One simple way to try and counter the danger of medically impaired driving is to simply read the “Drug Facts” label on any medication, whether they are purchased over the counter or through a doctor’s prescription. The “active ingredients” section of the label will caution against taking that medication in conjunction with another substance that might cause drowsiness or strange behavior. Any medication that has the potential of impairing how a person might drive will bear a warning, such as “When using this product..,” sometimes explicitly cautioning users not to drive or operate heavy machinery for a set amount of time after consuming the drug. As much as such messages are intended to deter the consumer from doing anything dangerous, the messages also provide the drug manufacturers a degree of legal protection from being held criminally liable, if a patient were to cause human or economic damage as a direct result of being impaired after taking the drugs. Authorities and law enforcements take other measures, such as sobriety checkpoints and traffic stops, where police determine whether a driver is too drunk to drive, consistently reduce the number of crashes related to alcohol, and act as a strong deterrent against driving while intoxicated. However, the problem of impaired driving is not one that will be solved quickly. Substances that lower inhibitions, compel risky behavior, sedate drivers, or react in unpredictable ways will always combine with other factors that cannot be controlled (such as public holidays, like July 4th and New Year’s Eve), to impair the ability to drive safely and responsibly. Greater access to information and education about such substances – the importance of reading warning labels on medication bottles, for example, or police campaigns that reiterate that “buzzed driving is drunk driving” – could be the difference between a normal drive and a life being lost. “Impaired Driving.” (n.d.) Governors Highway Safety Association. Accessed July 1, 2016. “Driving While Impaired — Alcohol and Drugs.” (June 2015). National Council on Alcoholism and Drug Dependence. Accessed July 1, 2016. “Impaired Driving: Get the Facts.” (April 2016). Centers for Disease Control. Accessed July 2, 2016. “Fed Study: Booze Impact Greater Than Pot on Driving.” (June 2015). CNN. Accessed July 2, 2016. “Driving With a Marijuana High: How Dangerous Is It?” (July 2015). Live Science. Accessed July 2, 2016. “UI Studies Impact of Marijuana on Driving.” (June 2015). The University of Iowa. Accessed July 2, 2016. “Do You Know Why I Pulled You Over?” (December 2007). CNN. Accessed July 2, 2016. “How Much Does Marijuana Impact Your Driving?” (June 2015). TIME. Accessed July 2, 2016. “Improved Vehicle Designs Bring Down Death Rates.” (January 2015). Insurance Institute for Highway Safety. Accessed July 2, 2016. “Marijuana Increased in 2014 as Factor in Deadly Crashes.” (August 2015). Washington Traffic Safety Commission. Accessed July 2, 2016. “Cannabis Effects on Driving Skills.” (March 2013). Clinical Chemistry. Accessed July 3, 2016. “Stoned Drivers are a Lot Safer Than Drunk Ones, Federal Data Shows.” (February 2015). The Washington Post. Accessed July 3, 2016. “Drivers on Prescription Drugs are Hard to Convict.” (July 2010). The New York Times. Accessed July 3, 2016. “Caution: Some Over-the-Counter Medicines May Affect Your Driving.” (July 2015). U.S. Food and Drug Administration. Accessed July 3, 2016. “FDA Warns That Some Over-The-Counter Meds May Impair Driving.” (October 2014). CBS News. Accessed July 3, 2016.“FDA Warns That Some Over-The-Counter Meds May Impair Driving.” (October 2014). CBS News. Accessed July 3, 2016. “Sobriety Checkpoints Open to Controversy.” (March 2011). USA Today. Accessed July 3, 2016.